Many of the refugees in Greece have the right to, or are obliged to, stay in Greece. For some, this is where they have received asylum; for others Greece is the country in which they wait, some even for years, until they are relocated elsewhere in Europe. In Greece, these refugees live scattered across the whole country, including Thessaloniki. 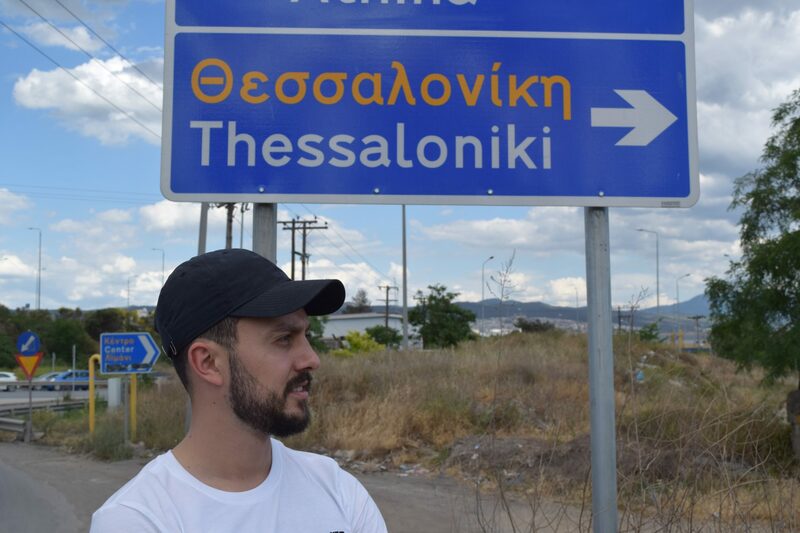 Thessaloniki is where the project is running since May 2017. We give everyday support to those who stay here, just as we support those who move elsewhere, and to help them build up ‘normal lives‘. We give them perspective, and a reason to get up every morning feeling like they have a purpose again. We make it possible for them to become active, and thereby to break out of the vicious circle of lethargy and depression. We hope that they will thus regain a sense of self-worth and self-determination. The capacity of the Greek state to carry and support these people is limited. Recognised refugees receive very limited aid and are often directed to non-profit organisations. In order for them to become independent and to be able to master their own livelihoods once more, we offer them immediate aid through our project. Concretely, this means that we try to help introduce people as individuals (quality before quantity) to the job market – by taking care, for example, of the costs of professional Greek courses, conversion courses for all kinds of diplomas, public transport tickets, cover the mobile phone expenses etc. This is the basic idea; setting in motion the steps towards everyday independence whilst being able to focus on the individual requirements of each person. However, the past two years‘ work in this field have taught us that things change quickly, and that one must always remain flexible. Luckily at the moment we have enough Robins to run the project. However we need the financial means to offer the people on our program good courses and further education opportunities and to cover some of their everyday expenses. In addition we need financial support to cover the minimum living expenses (accommodation, petrol, food, insurance etc.) of our Thessaloniki-resident Robin (Coordinator: Valentino). All donations are thus welcome and much appreciated! Throughout the process we will be reporting on our website’s blog.